Detail from an Irish Kidney Association organ donor card (Photo: IKA). The practice of donating organs should be encouraged “as a manifestation of generous solidarity”, Pope Francis said this weekend in a meeting with the Italian Association of Organ Donors. Today, organ transplantation can involve kidneys, hearts, livers, pancreas, intestines, lungs and corneas. Not only does modern medicine allow for life-saving transplants after a donor’s death, it is also possible for the living to make bone marrow transplants that can aid those with some cancers and those suffering from some auto-immune disorders. “Organ donation responds to a social need because, despite the development of many medical treatments, the need for organs still remains great,” the Pope said on Saturday. 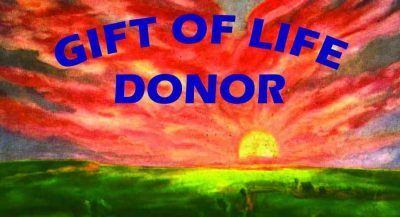 According to Professor Jim Egan, director of Organ Donation and Transplant Ireland, in 2017 in this country 99 families agreed to donate a loved one’s organs after their death. The number of kidney donations was further boosted by 51 living donors. In that one year in Ireland 311 people’s lives were saved through transplant surgery. Ireland has one of the highest rates of organ donation in the world, with 20.3 donors per million people. Sadly, there is a growing market in unlicensed kidney donations, where people desperate for cash donate one of their two kidneys. The Pope said no part of the body should be for sale. “Any form of commercialisation of the body or of a part of it is contrary to human dignity,” the Pope said. “In giving blood or an organ of the body, it is necessary to respect the ethical and religious perspective.